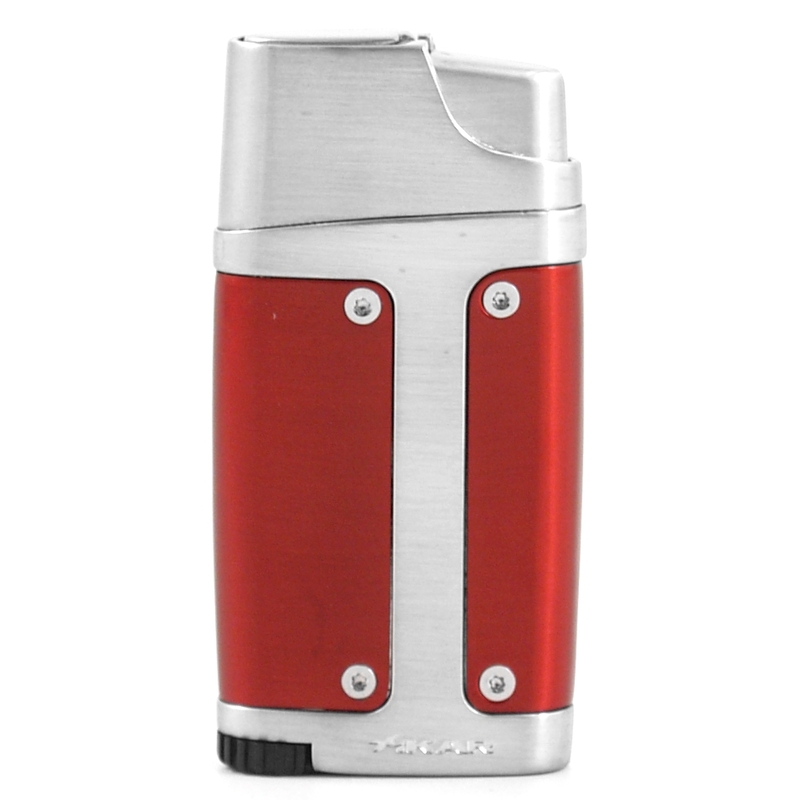 One of Xikar's most popular lighters, the Element model combines easy ignition and a powerful double jet flame with sleek styling. Boasting a lightning fast Rapid Fire ignition, this lighter has a sharp 9mm cigar punch conveniently hidden in the base. A simple thumb press on the trigger is all it takes to open the protective cap and ignite the two powerful jet flames. As an added bonus, a fuel gauge and adjustment wheel ensure you get just the right amount of flame every time.